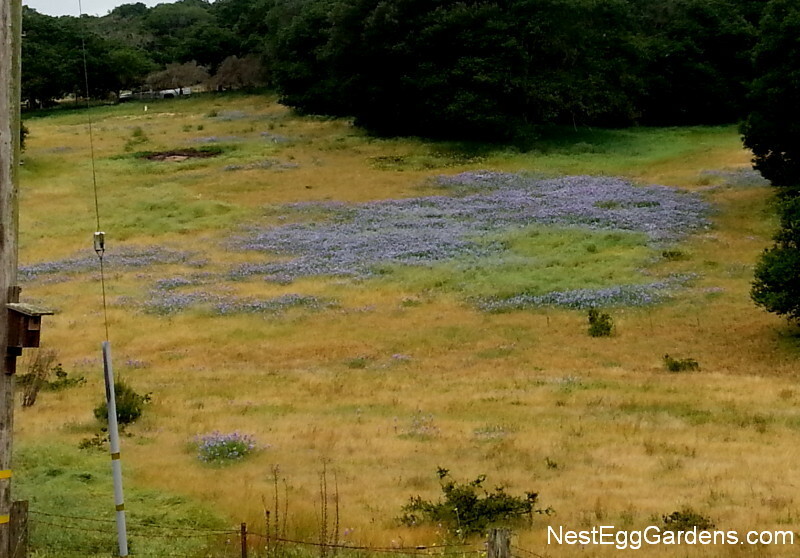 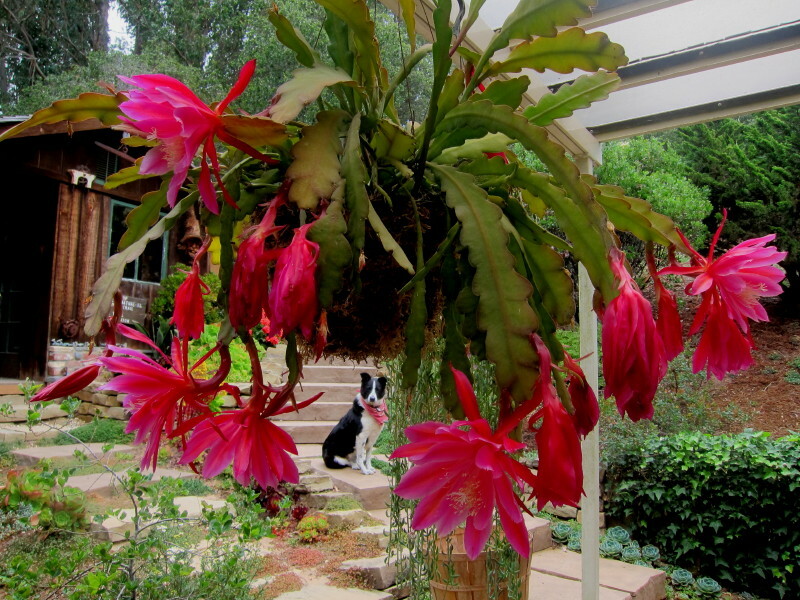 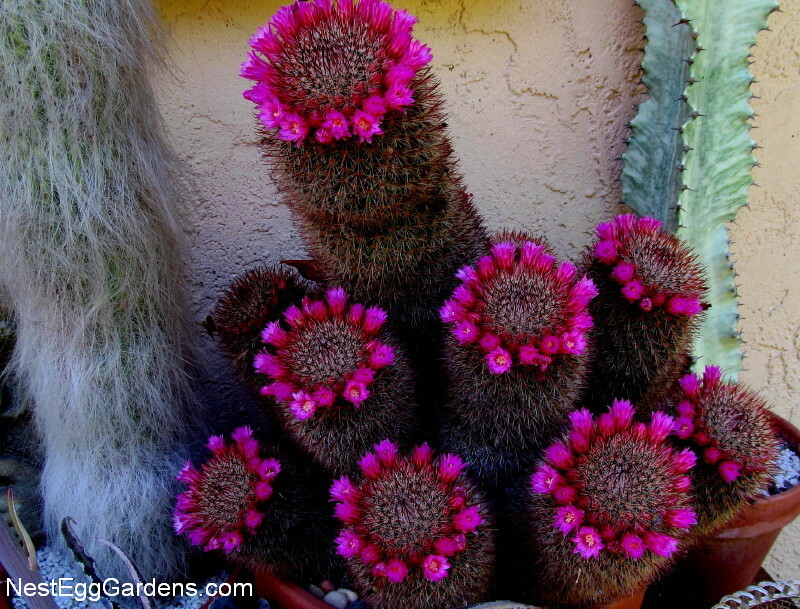 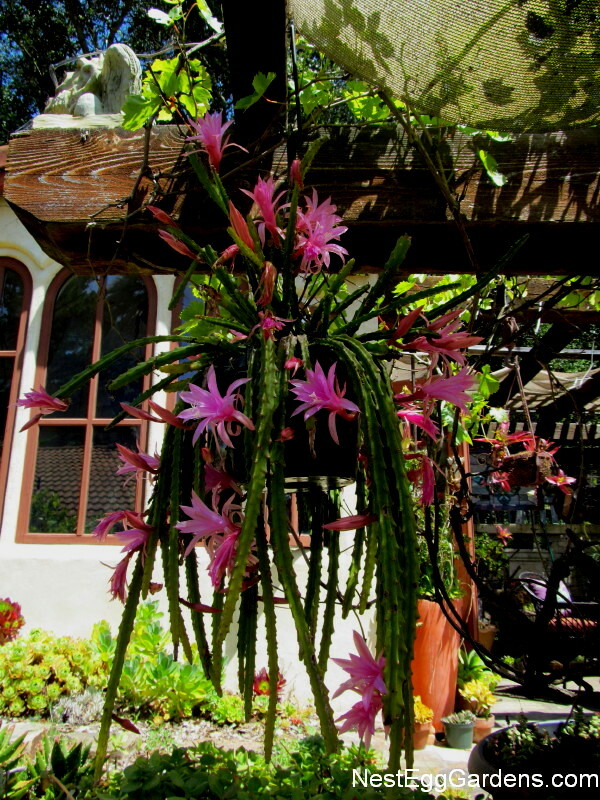 We just love the month of May… when the Epis (aka orchid cactus) are in bloom. 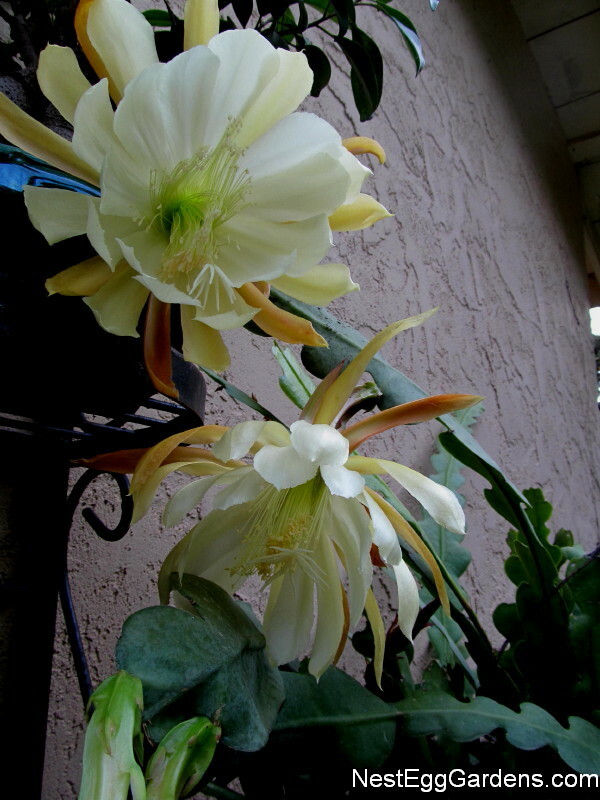 This entry was posted in Epiphyllum, Flora on June 2, 2016 by Shelly. 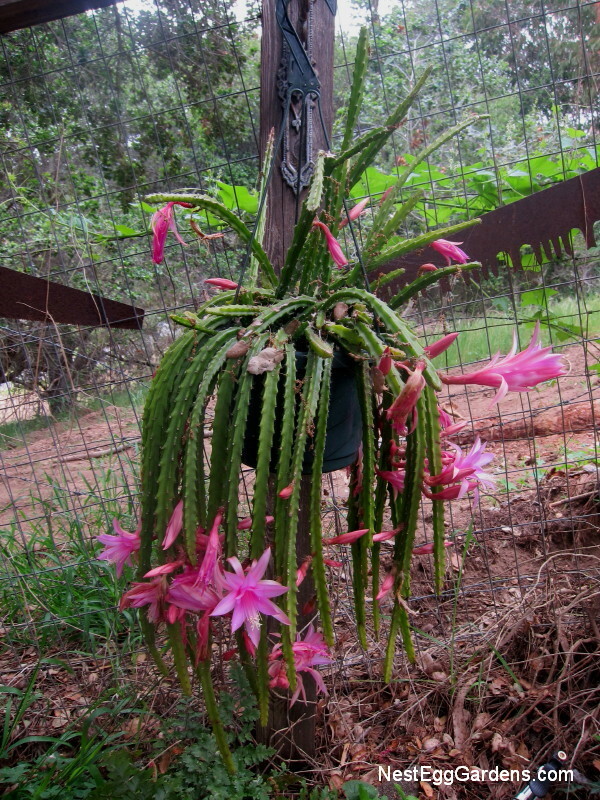 This variety of Epiphyllum (aka Orchid Cactus) is blooming now and the flowers look a lot like a Rat tail cactus (Disocactus flagelliformis) as shown below. 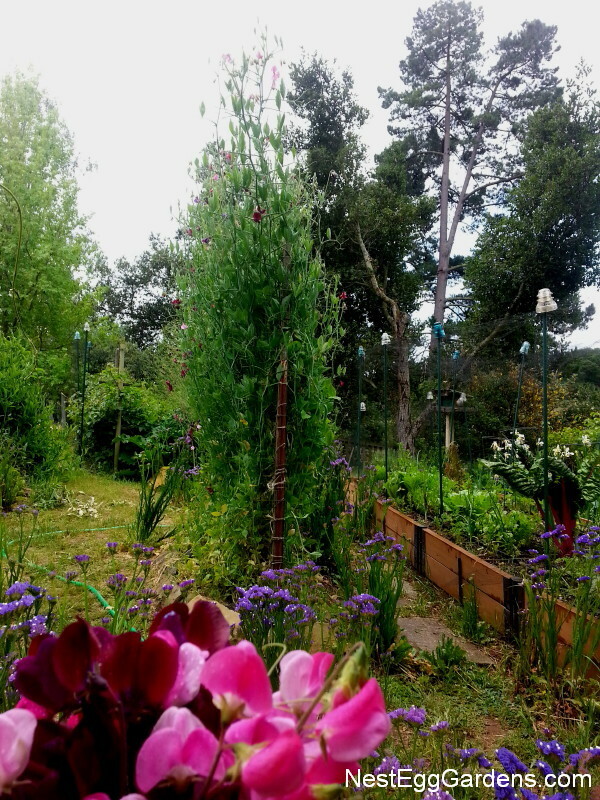 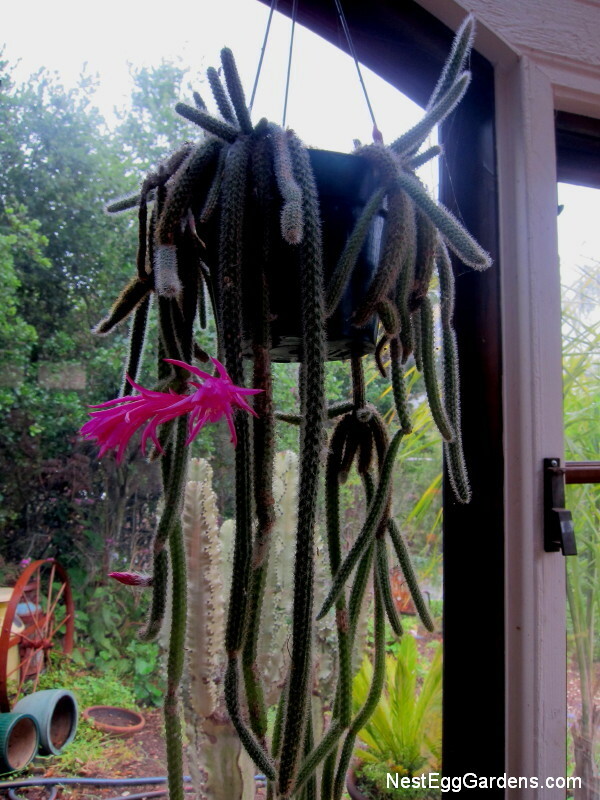 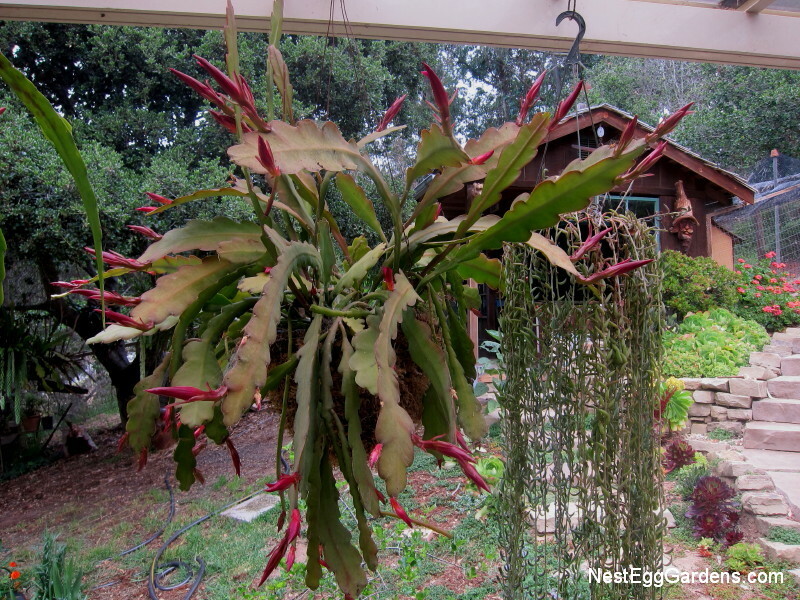 The hanging pot of Epiphyllum below will be blooming soon… and look at all those buds! 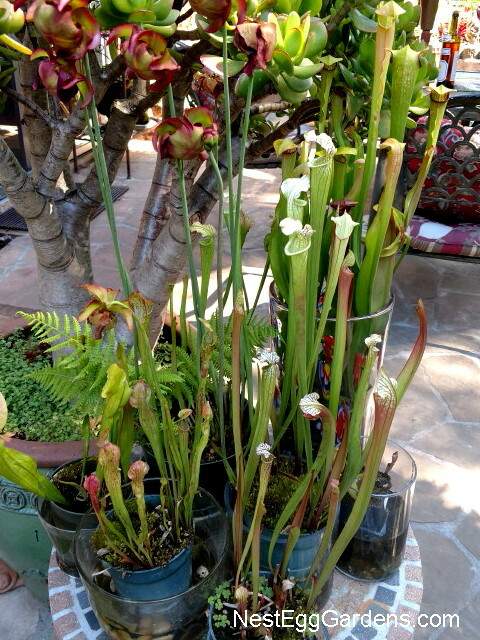 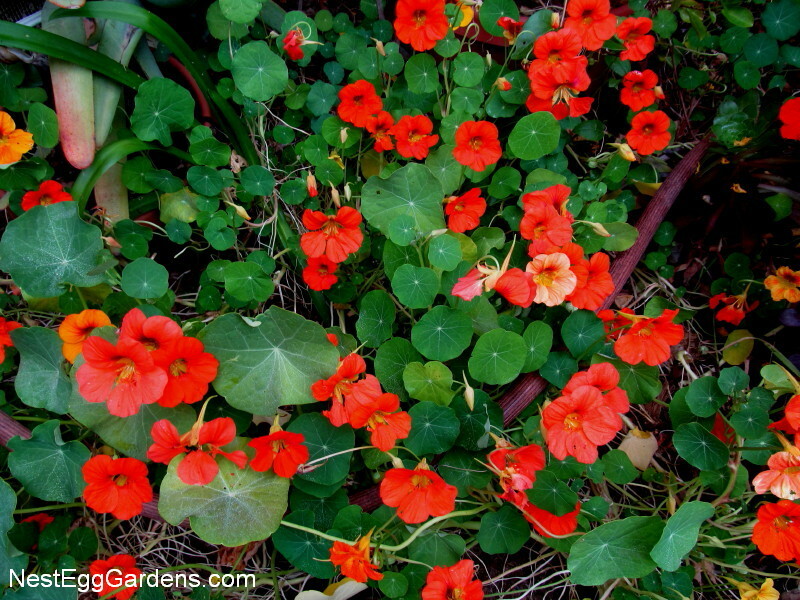 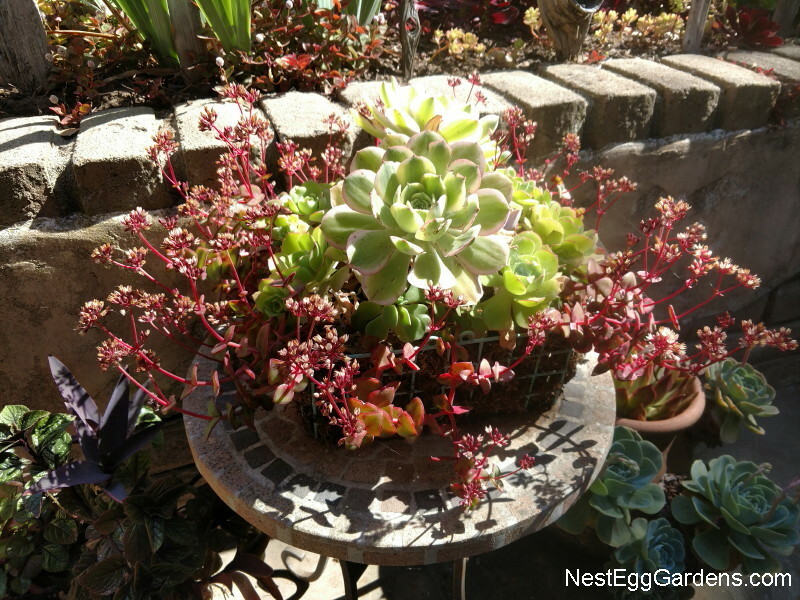 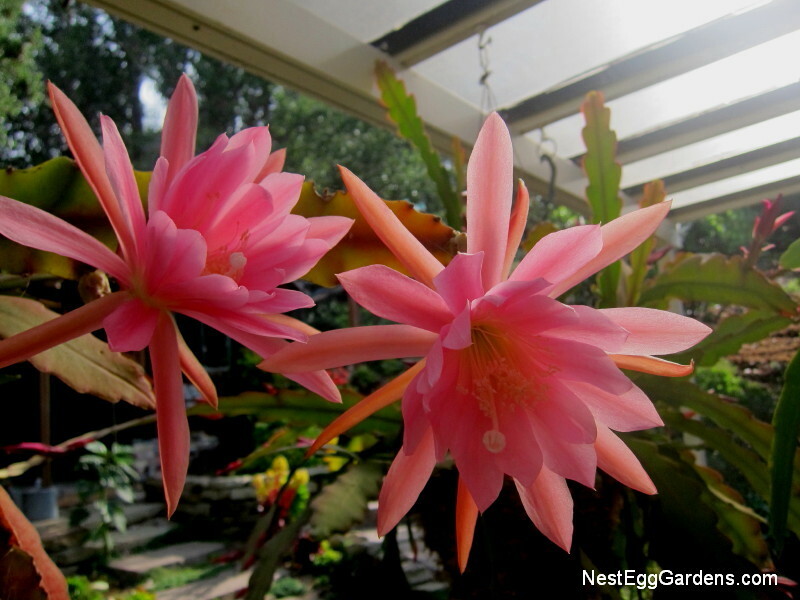 Two days later, these buds burst open in the pot next door… first big blooms of 2015. 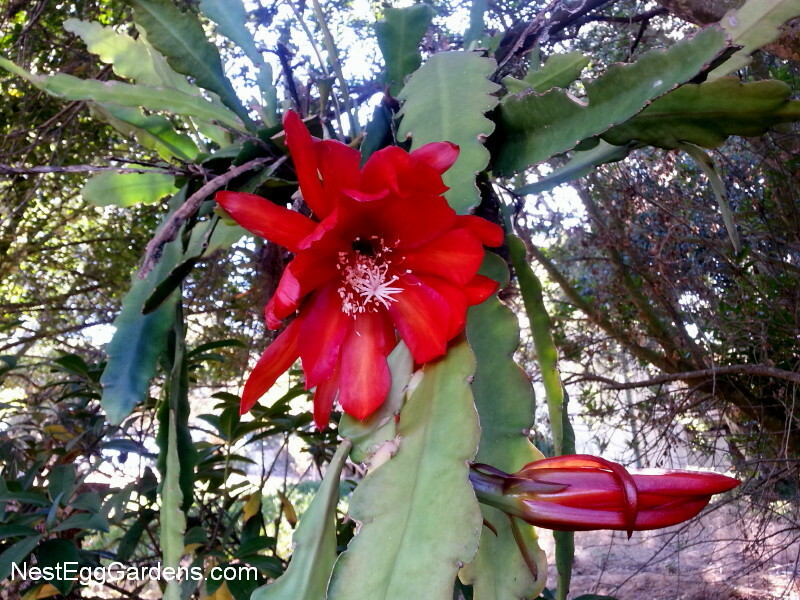 This entry was posted in Cactus, Epiphyllum, Flora on April 22, 2015 by Shelly. 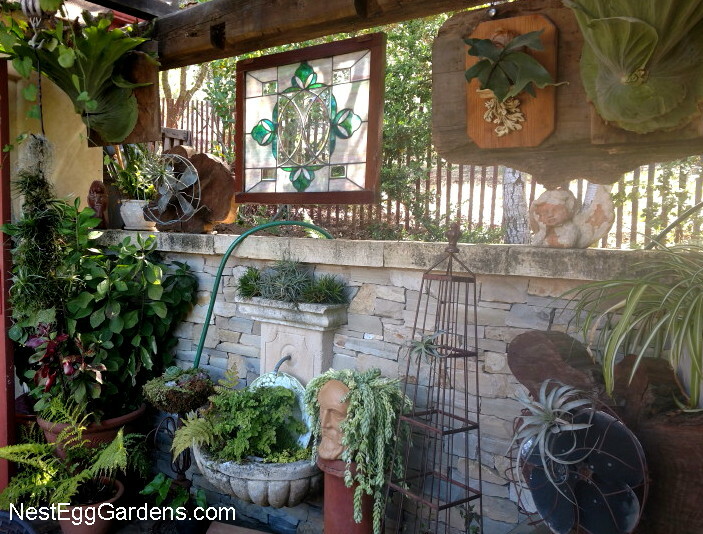 Love the view from the patio of the new garden wall in back. 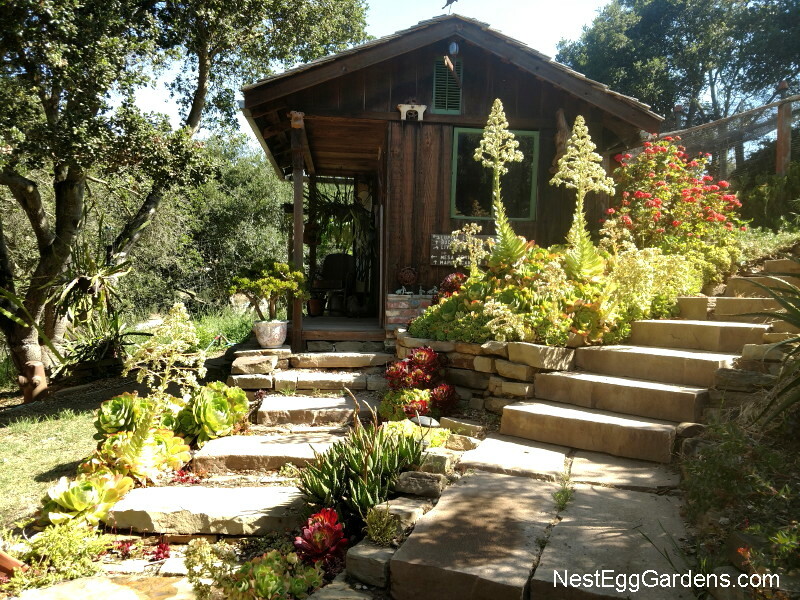 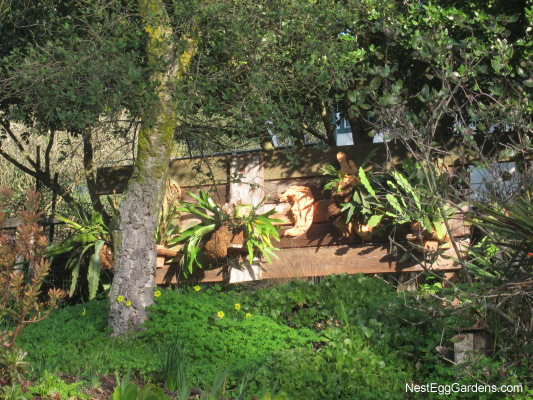 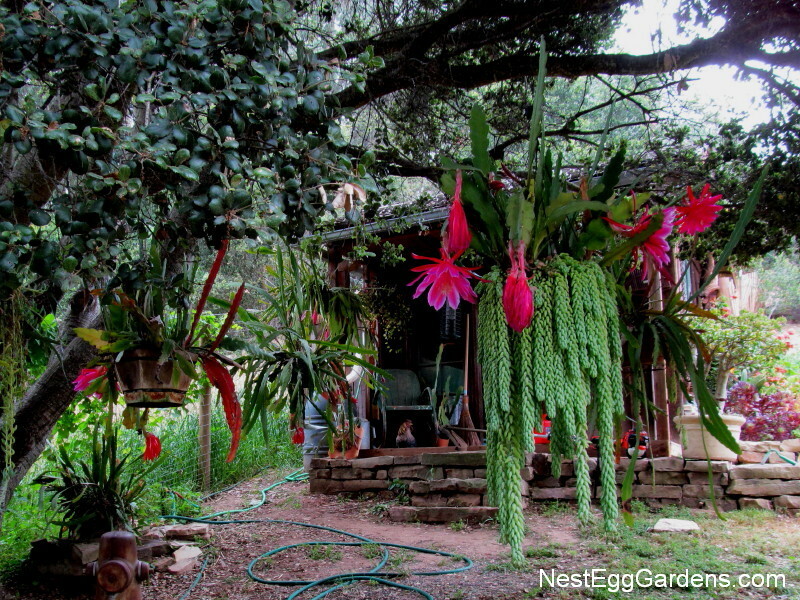 It provides a nice shady spot to hang Staghorn Ferns and Epiphyllum, and hides the view of the neighbor’s garage. 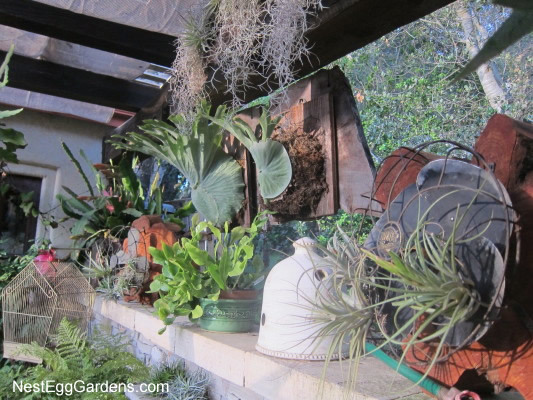 The evening sun shines through for a short time before setting, lighting it all up nicely. 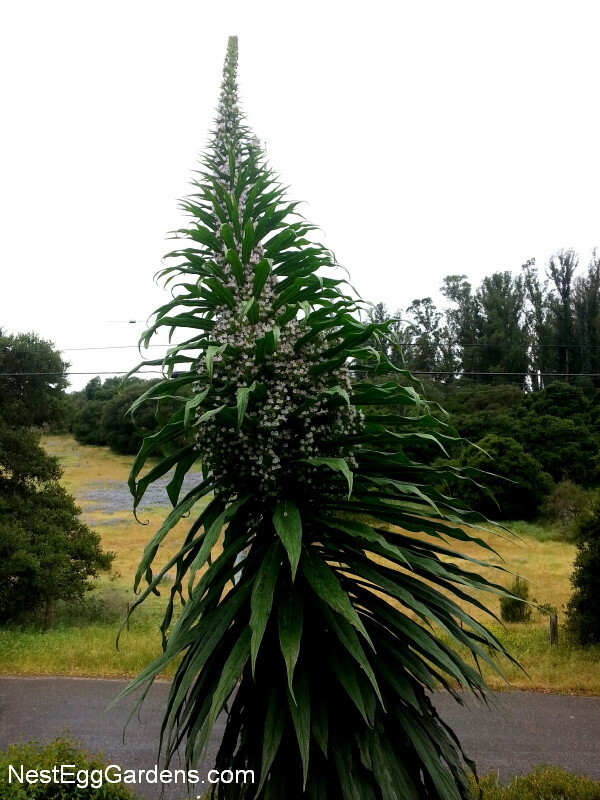 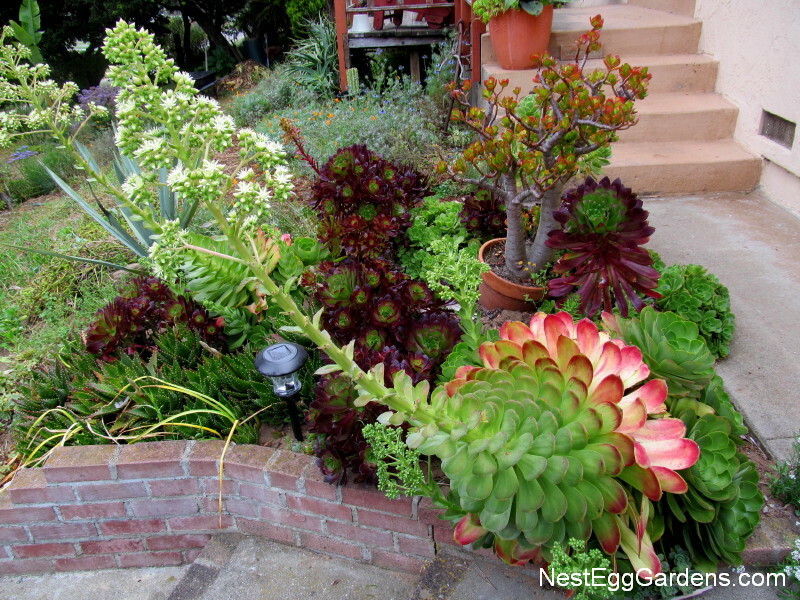 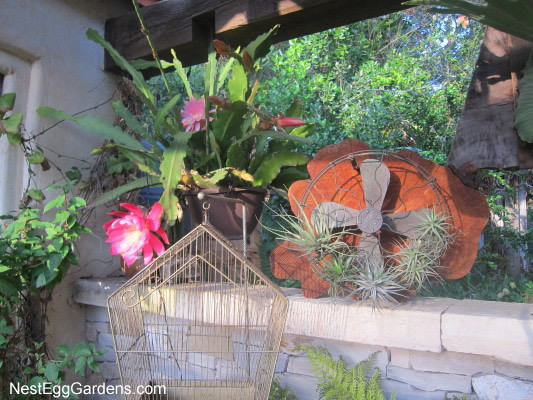 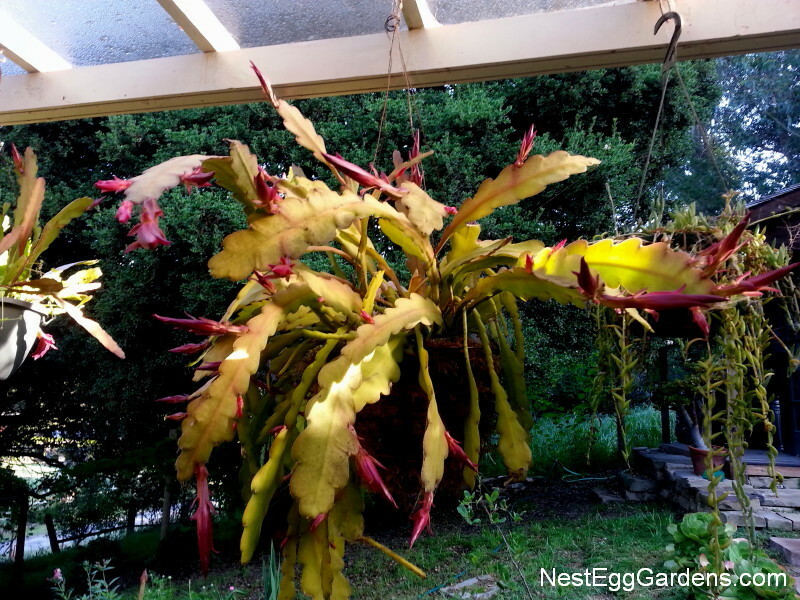 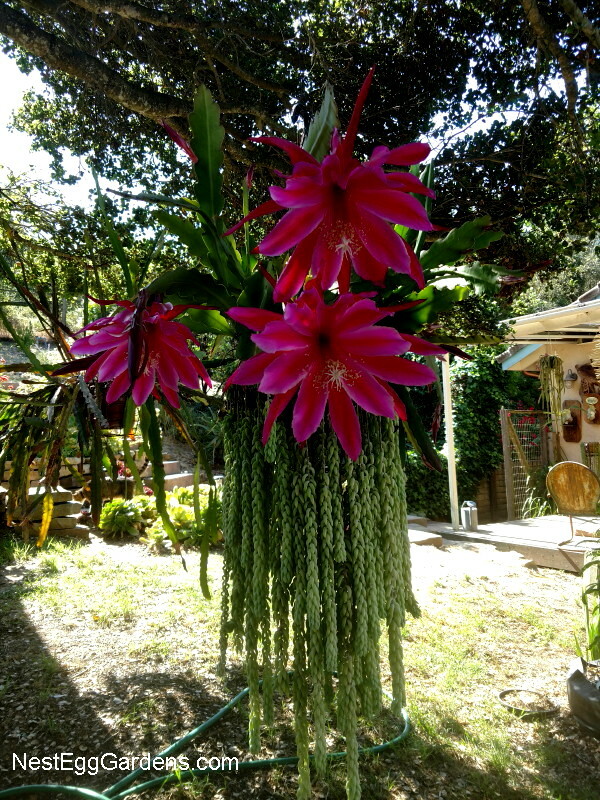 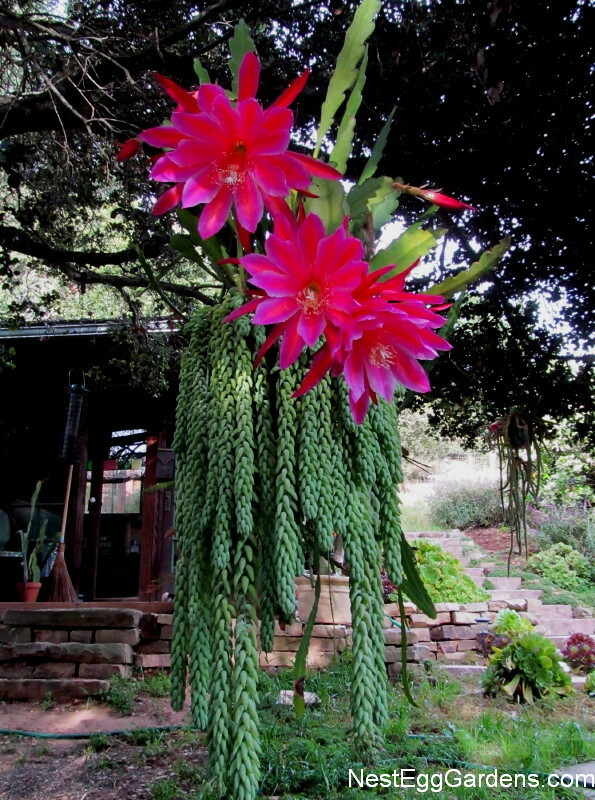 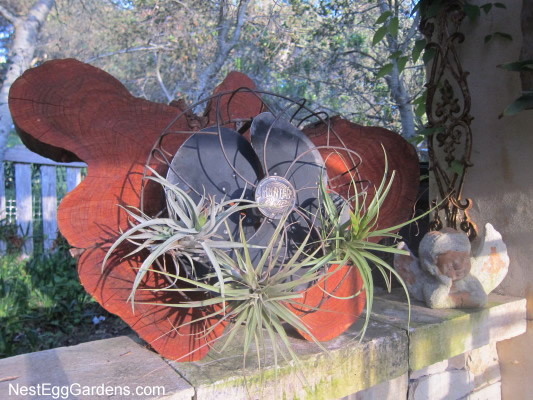 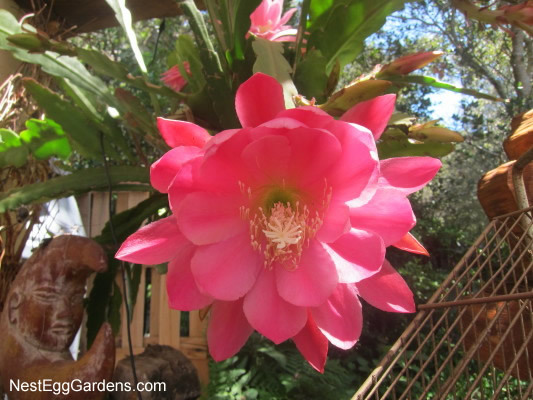 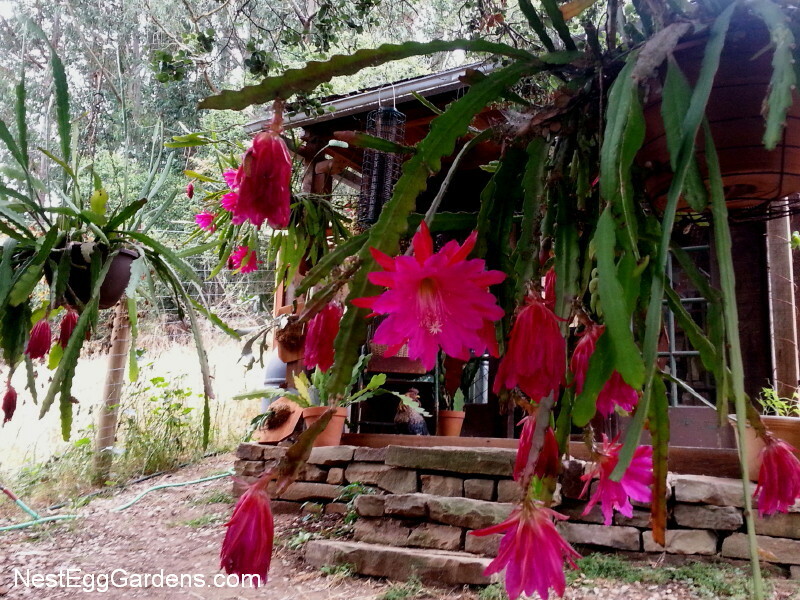 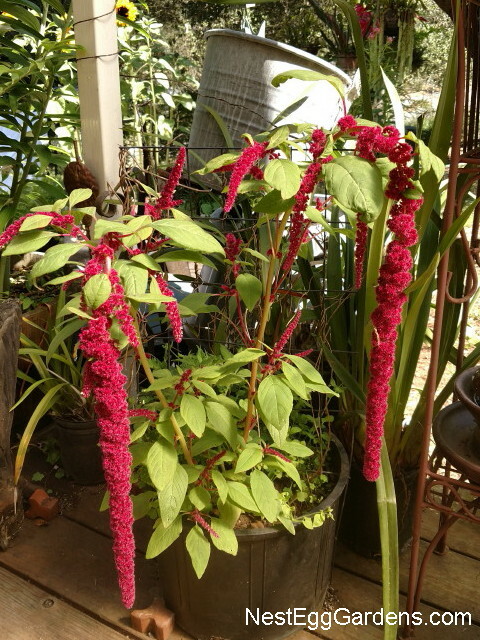 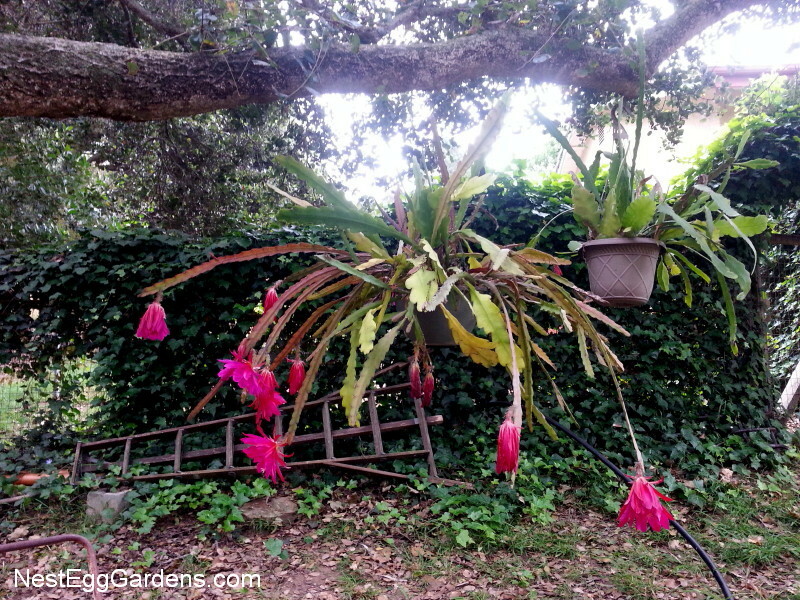 This entry was posted in Epiphyllum, Flora, Grounds, Living Art, Staghorn on January 25, 2015 by Shelly.